Now that everyone is on the kale train, it’s making an appearance in a huge variety of dishes. 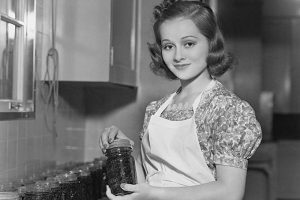 And sometimes it’s swapped in for other leafy vegetables in a variety of familiar recipes. 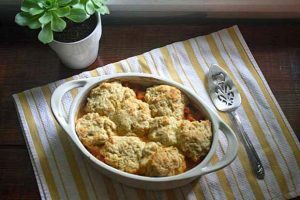 Here’s on that you’re going to love, and I think it’s perfect for the cooler seasons when you’re craving something warm and comforting. 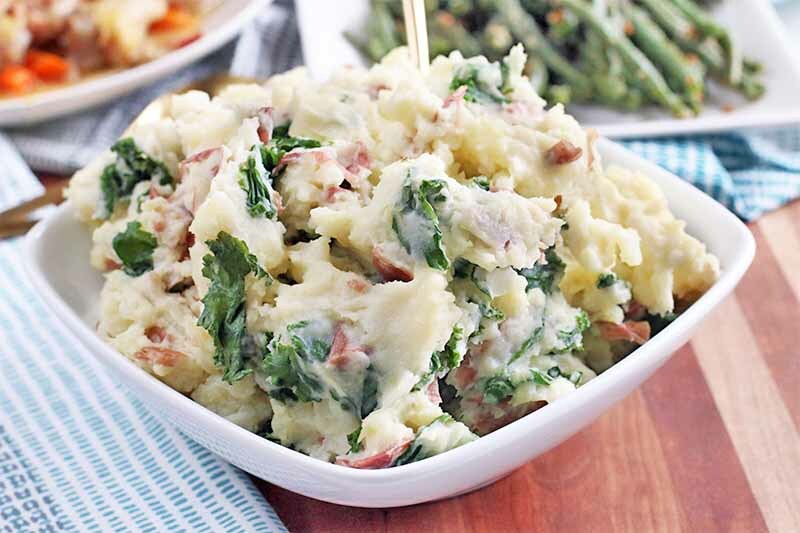 To be honest, I was skeptical at first about putting greens like kale into my fluffy mashed potatoes. 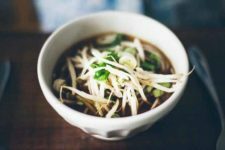 But after giving this recipe a whirl, I really loved it. 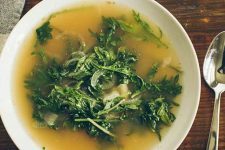 The overall flavor is creamy and rich, with sauteed onions and kale for a kick of additional depth that’s not completely overpowering. 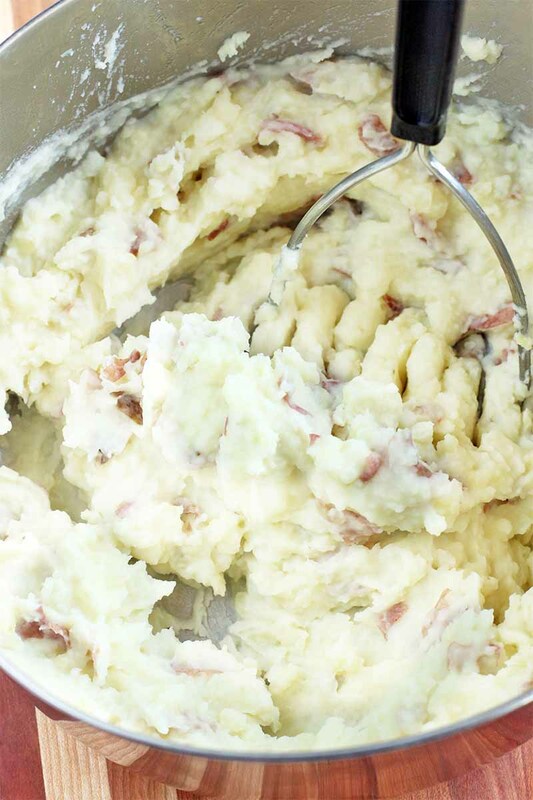 I really like to use red potatoes for this recipe because you can leave the skins on to give the mash itself an even richer texture. 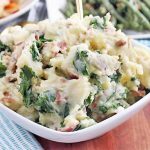 I know that some of you might not be fans of the skin-on potatoes in this type of recipe, but it’s all about using the right type for this purpose. 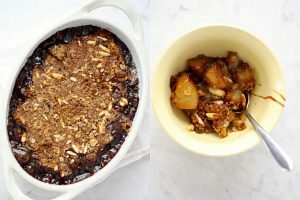 When you use russets or another baking variety, the skin is a bit too chewy to add to a mash, even if you boil them until they are fork tender. 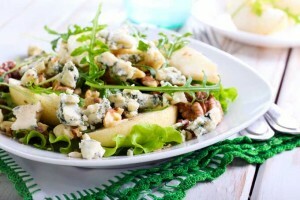 But with the right potato, the texture of the skin folds seamlessly into the dish, with added nutrients to boot. Red bliss or Yukon gold are two of my favorites for this type of dish, but any type with thin red or golden skin will work beautifully. 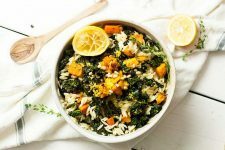 When you stir it all together with the kale, you get a delightfully creamy dish that creates a flavor explosion on your taste buds. 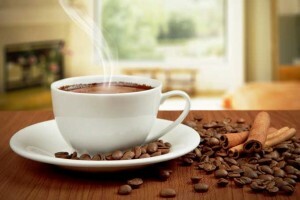 As for the recipe itself, it is extremely easy to make. You start by simply boiling the spuds, and then you mash them up. 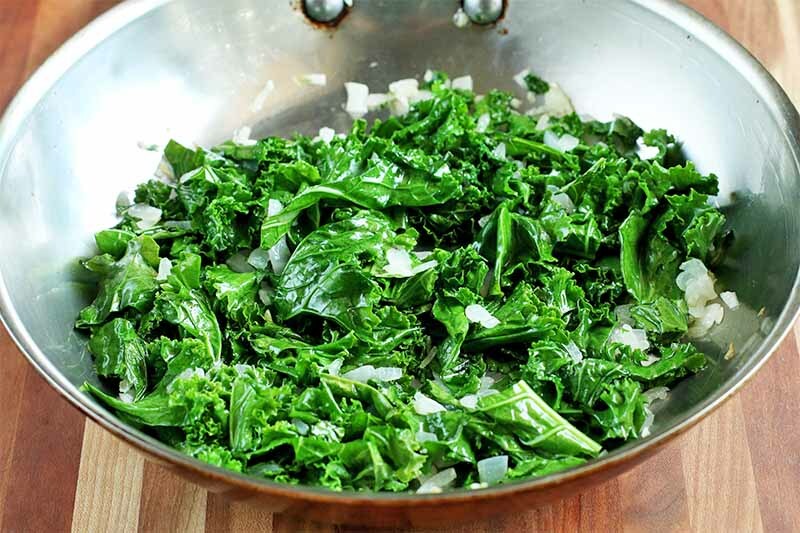 While the starchy vegetables are cooking, you combine sauteed onions with the chopped kale until the greens are wilted. Or, if you prefer, sautee the kale along with the onions for a caramelized, roasted flavor. 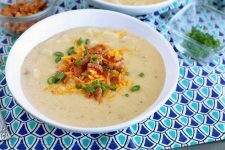 Stir it all together with some milk, cream, or kefir (read more about those options at the end of the post), and you end up with a side dish that you will want to make again and again. 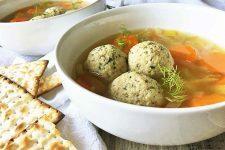 Whether you are trying to eat more greens yourself or looking for a way to get the kids to eat their greens that won’t make them say “Yuck!” this is the recipe to try. 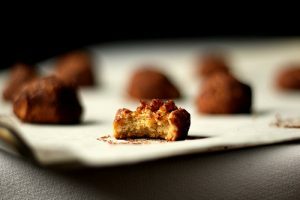 Trust me: The moment they taste it, there will be smiles on both sides of the table. I have cooked these up for my husband and myself a few times so far this season, and we’re always satisfied. It’s an excellent source of green vegetables that even the kale haters will love. 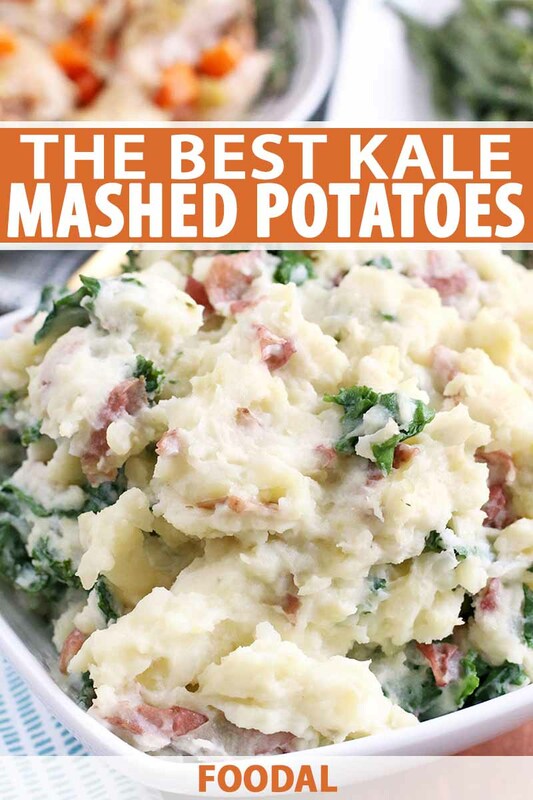 I am personally not a big leafy green eater, so to me, it’s a win-win to discover a way that I enjoy eating kale, in one of my favorite side dishes of all time. 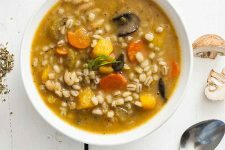 You’ll end up craving this hearty dish all year round, no matter what season it is. 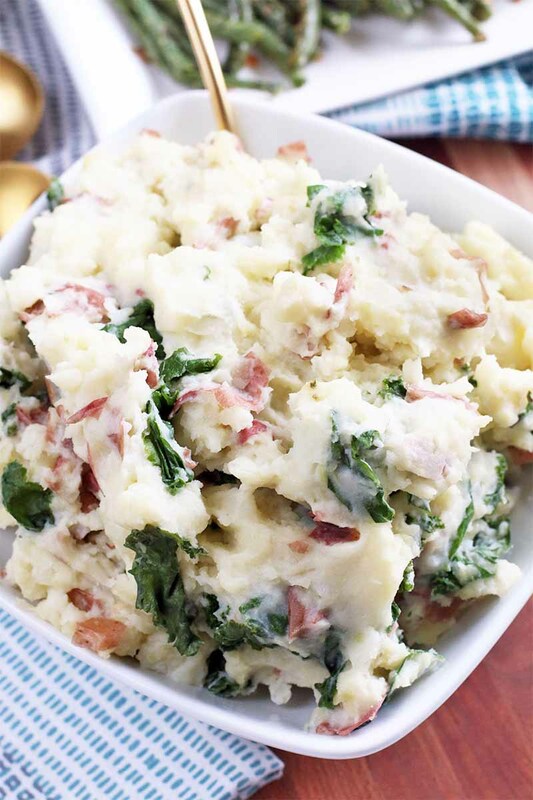 When the weather gets chilly, warm up with these kale mashed potatoes. The mix of greens and hearty roots will become a staple in your home. 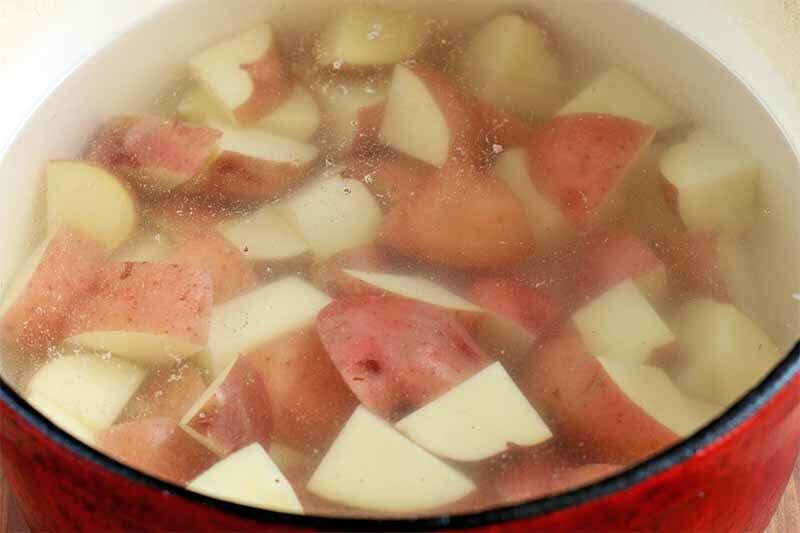 Place potatoes in a large stock pot and cover with water, adding a little salt on top. Bring water to a boil and cook for about 20-25 minutes, until fork tender. 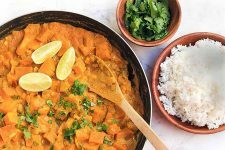 Heat coconut oil in a large frying pan over medium heat and add the chopped onion, cooking until softened and transparent, approximately 4-5 minutes. Add the kale, cooking until the leaves have wilted, approximately 3-4 minutes. Set aside. 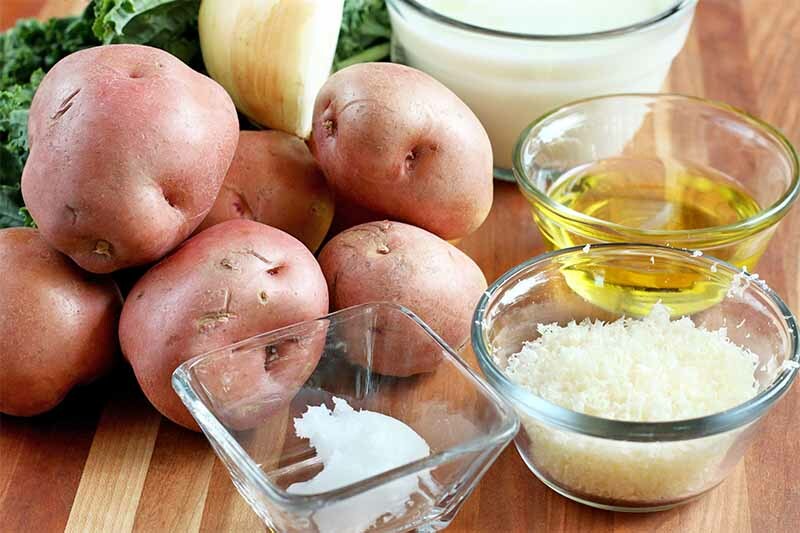 When the potatoes are tender, drain the liquid and add the olive oil and 3/4 cup of the milk. Mash well. Add the grated cheese and continue mashing. 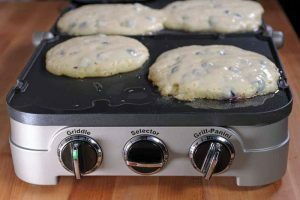 Add more milk and continue mashing until you reach the consistency you like. Fold in the cooked kale and onion mixture. Season with salt and pepper to taste. Garnish with more Pecorino, if desired. Wash the produce well, using a vegetable brush to clean the potatoes. 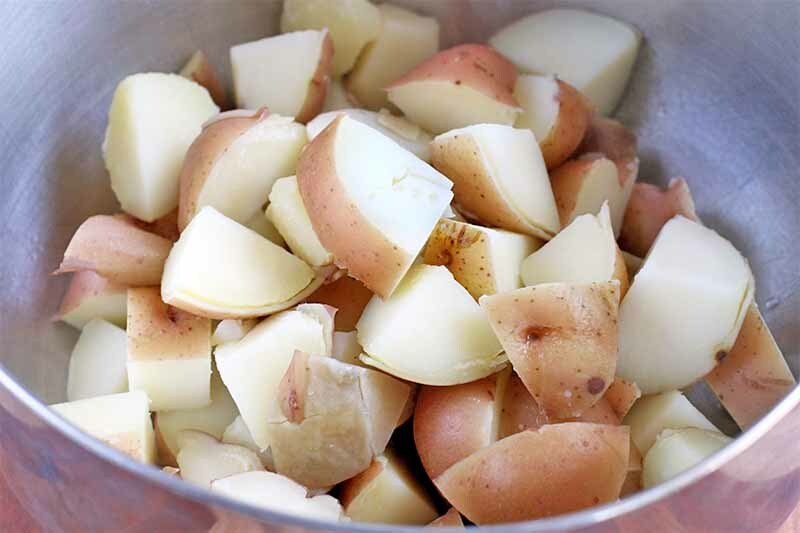 Cut the potatoes into 2-inch pieces, and remove any eyes or bruised portions. Set aside. 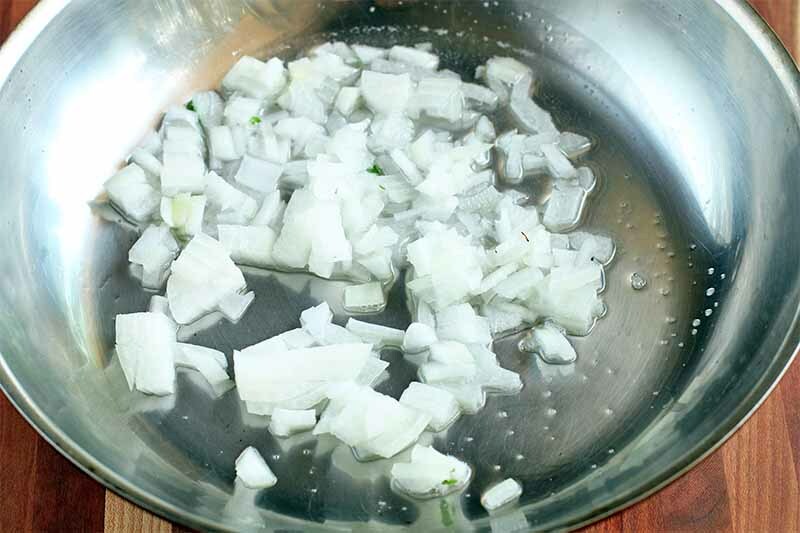 Finely chop 1/4 of a medium-sized yellow onion. Not a fan of this kitchen task? Say goodbye to those tears with our tips! Remove the stems from about half of a bunch of kale. Chop the leaves, and set aside. 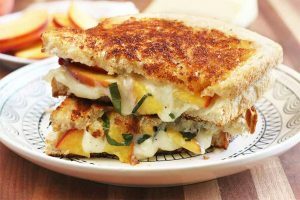 Grate the cheese until you have about 3/4 of a cup, a little more if you want to have some extra left over to garnish each serving. Add the potatoes to a large pot of water. Sprinkle a large pinch of salt on top. Bring the water to a boil. Once boiling, cook for 20-25 minutes, until they are tender. Drain the potatoes in a colander, and transfer them to a large bowl. While the potatoes cook, melt the coconut oil in a large frying pan over medium heat. Once the pan is hot, add the chopped onion. Cook the onion until it has softened, approximately 4-5 minutes, stirring occasionally. Add the kale to the pan and cook until the leaves are wilted, approximately 3-4 minutes, stirring occasionally. If you like, you can continue to cook until the onions begin to caramelize, but be sure to keep an eye on the veggies so they don’t burn. Add olive oil and 3/4 cup of milk, cream, or kefir to the potatoes. The choice here is up to you. Heavy cream provides a richer flavor, and kefir adds a bit of tang, and healthy probiotics. Mash the potatoes well. 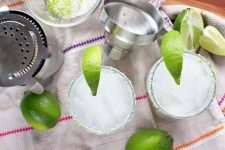 Add the grated cheese and continue mashing until the mixture is well-combined. Add the remaining dairy a little at a time, until you get the consistency you prefer. Stir in the kale and onion mixture. Season to taste with salt and freshly ground black pepper. Serve warm, with additional grated cheese sprinkled on top, if you like. 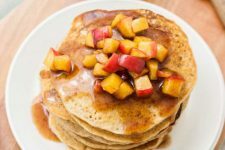 I generally like to use milk or cream when I make these at home, but kefir lovely ingredient that I recently discovered, and that I like to add to recipes like this one. Kefir is a tart and tangy cultured milk that is packed with a bunch of protein, calcium, and vitamin D. The flavor is similar to what you might find if you were to add some sour cream to the mix, or a touch of lemon juice to cut through the richness of the dish. There are so many benefits to using kefir, since it also serves as an excellent source of probiotics that help to get good bacteria into your system. If you do choose to go this route, I recommend using half kefir and half milk or cream so the creamy final product isn’t overly tangy. Once you get used to the kefir flavor, adjust to add as much as you like. 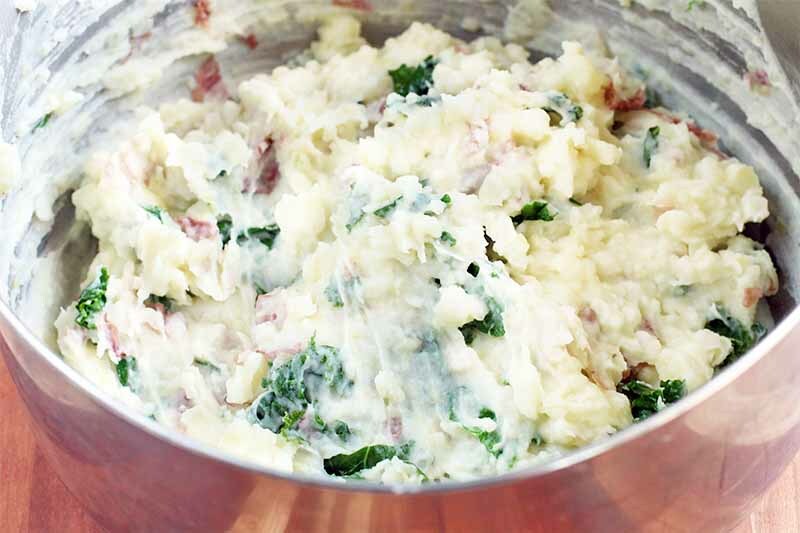 If you know anything about Irish recipes, you are probably be familiar with colcannon. 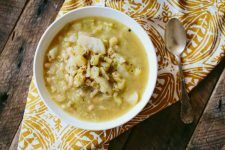 This traditional dish combines cabbage and mashed potatoes, perfect stick-to-your-ribs food to warm up with in the winter. 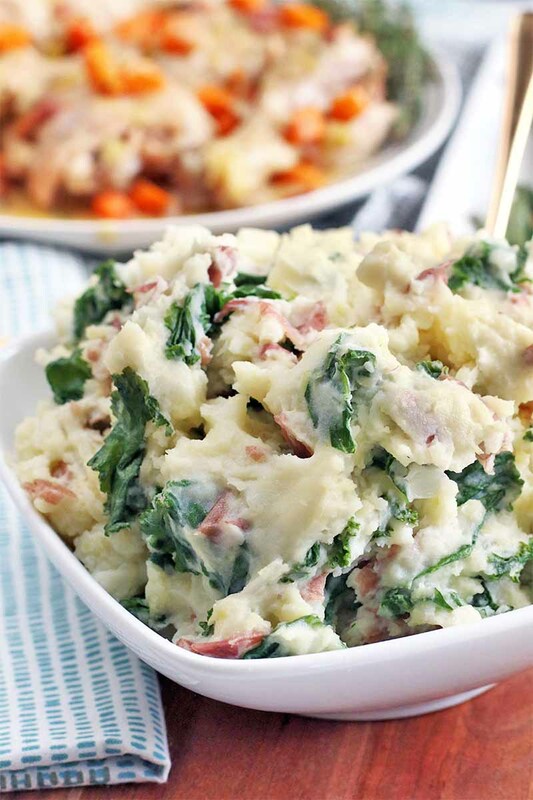 And this combination has a ton of flavor, making it a side that’s perfect to indulge in during the Saint Patrick’s Day festivities, right next to a big, fluffy loaf of our Irish Soda Bread! Our take swaps out the cabbage for nutrient-packed kale, and we love the vibrant green color that it adds to the dish. 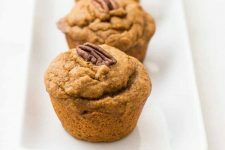 Whether you’re celebrating a holiday or enjoying a cozy meal at home, this side is simple to make, and pairs so well with whatever protein you choose to serve it with. 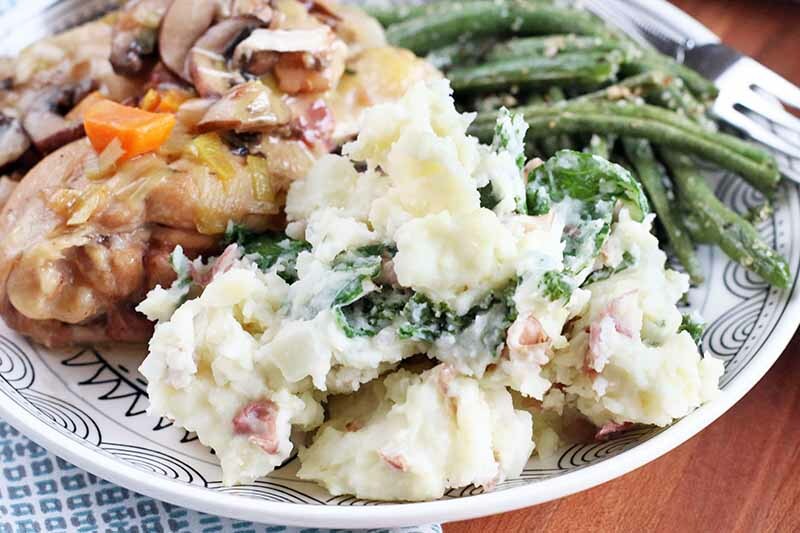 It’s great with Coq au Vin Blanc made in the Instant Pot, and a side of Roasted Parmesan Green Beans! Tell us all about your favorite uses for kale and kefir in the comments. 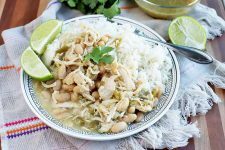 And don’t forget to give this recipe a five-star rating if you loved it! Photos by Meghan Yager, © Ask the Experts, LLC. ALL RIGHTS RESERVED. See our TOS for more details. Originally published by Shanna Mallon on September 25, 2012. Last updated: March 8, 2019 at 12:38 pm. With additional writing and editing by Allison Sidhu. 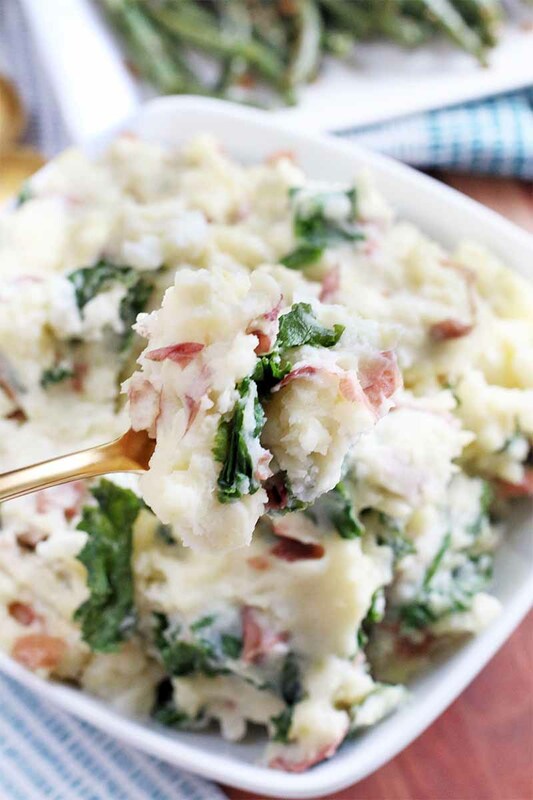 I’m dying to make these kale mashed potatoes! These are beautiful photos to go with a beautiful meal. I made a similar meal last night with rib eye and mashed potatoes and broccoli. It’s so simple and stunning and wonderful. Perfect for sharing with someone you care about! 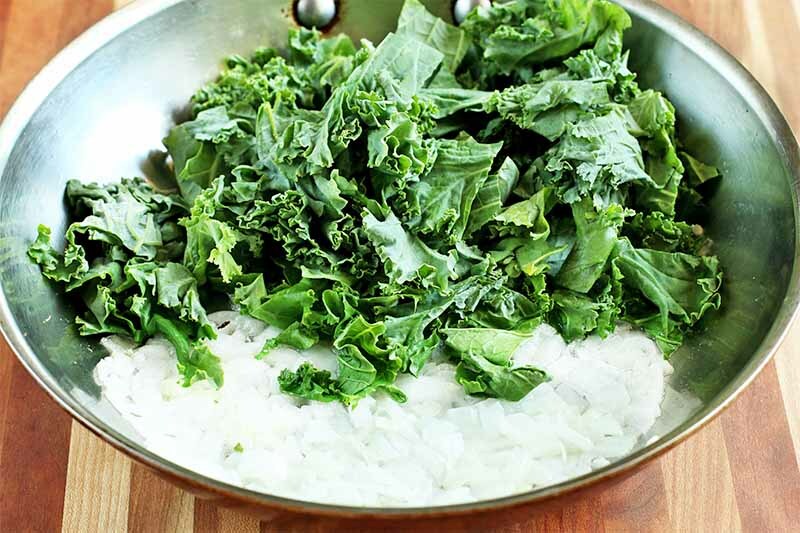 Great healthy recipe (we try to have kale a good bit here)! I must make these mashed potatoes soon.